The Austrian automotive component supplier will present its half-year results next Wednesday. Erste Group and RCB (Raiffeisen Centrobank) expect lower earnings. Erste Group forecasts slightly decreasing revenues in the second quarter. Moreover, the operating margin should be lower compared to the first quarter of 2012. Due to the sale of the interior segment, the significance is only given to a limited extent, Erste Group explains. 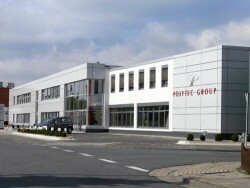 Erste Group expects EPS to reach € 1.05 in 2012. In 2013, EPS should amount to € 1.10. This article includes a total of 105 words.